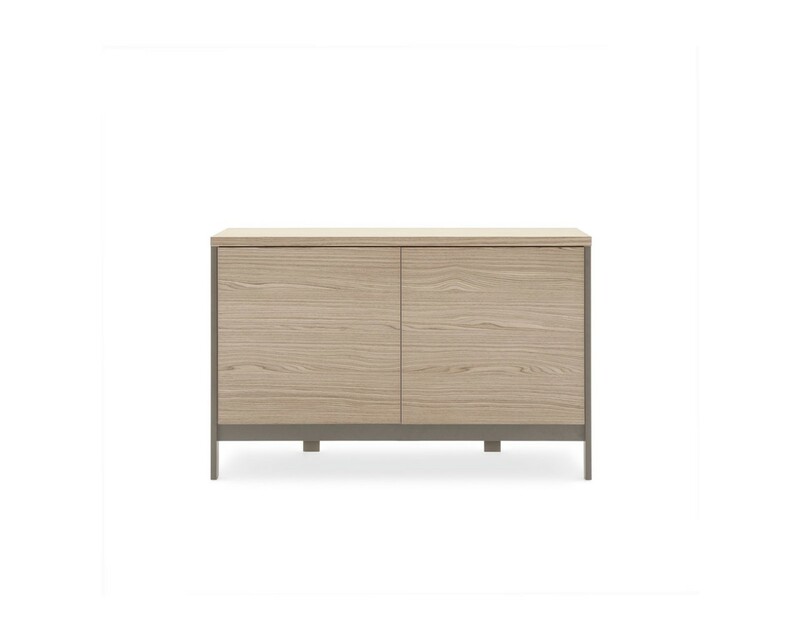 FACTORY model cabinet . 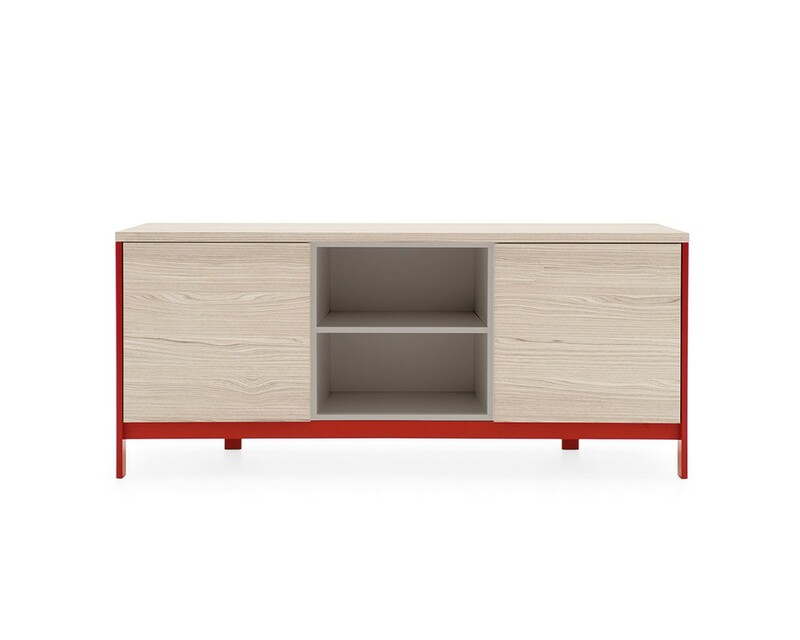 Wooden frame and metal base. 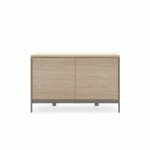 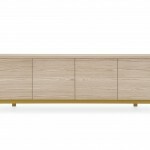 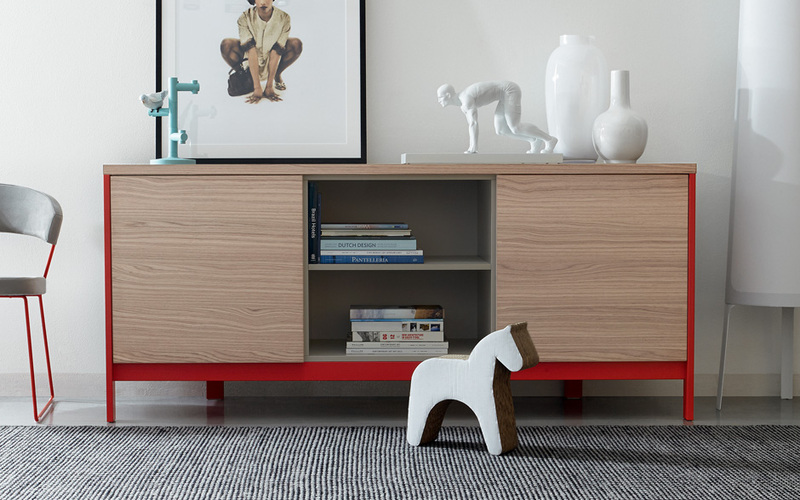 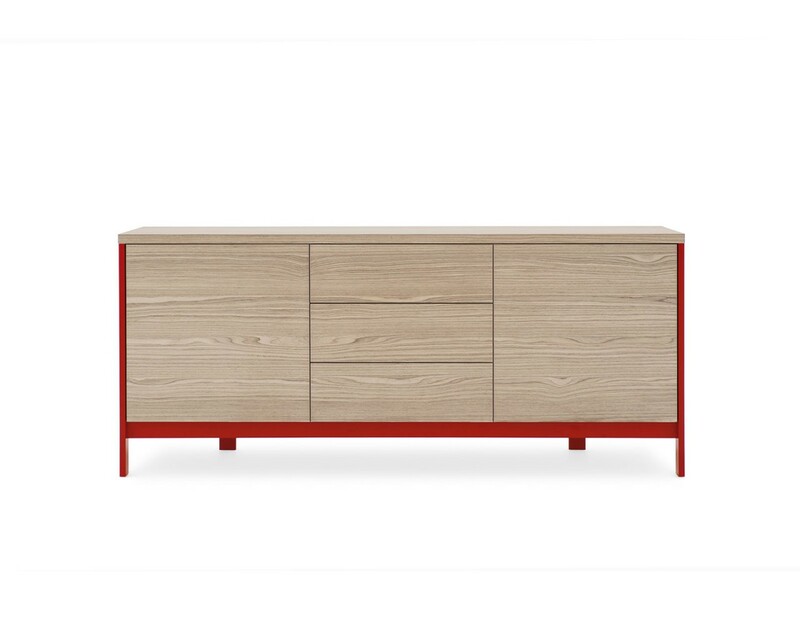 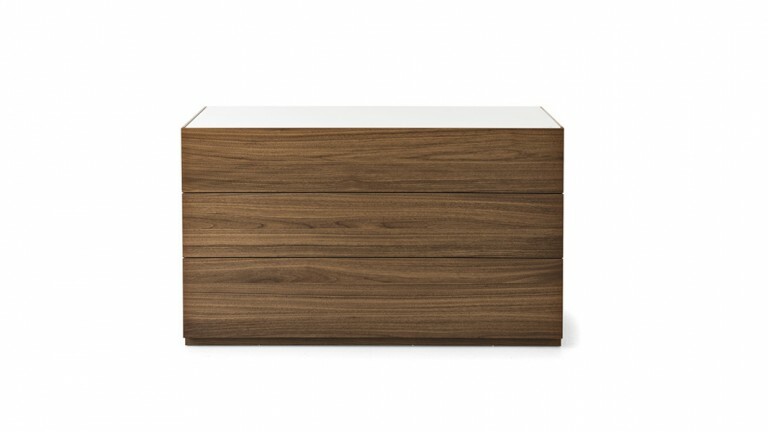 There’s a Scandinavian spirit to this sideboard, with its essential lines that join functionality and design. 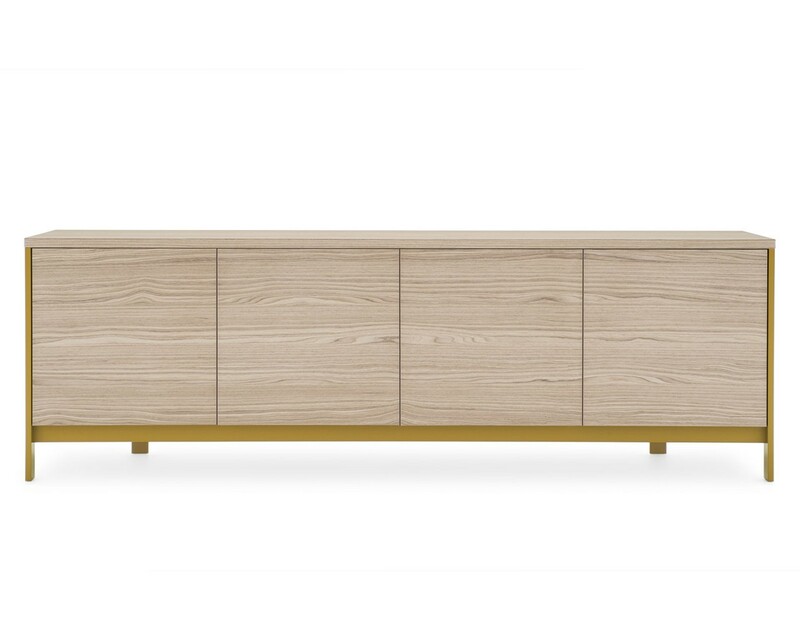 The doors and top are in wood essence while the sides and the visible back are plain. 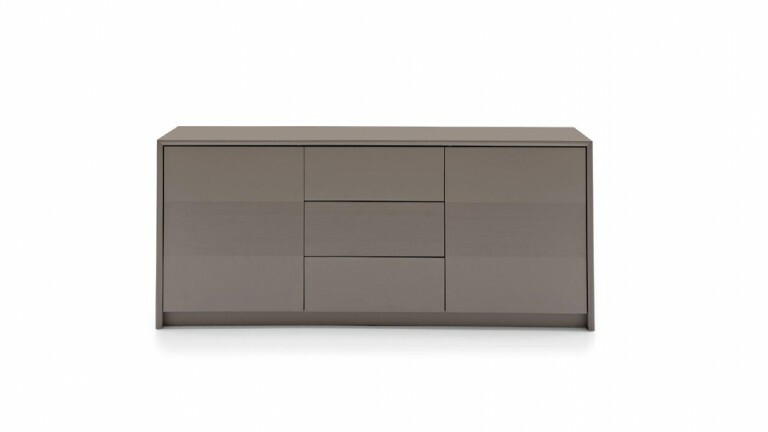 The raised metal base, available in various finishes, characterizes the piece’s aesthetics. 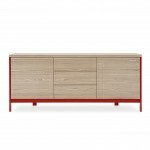 Access to the 4 compartments, all with an internal wooden shelf comes by using the practical opening push-pull system on the doors. 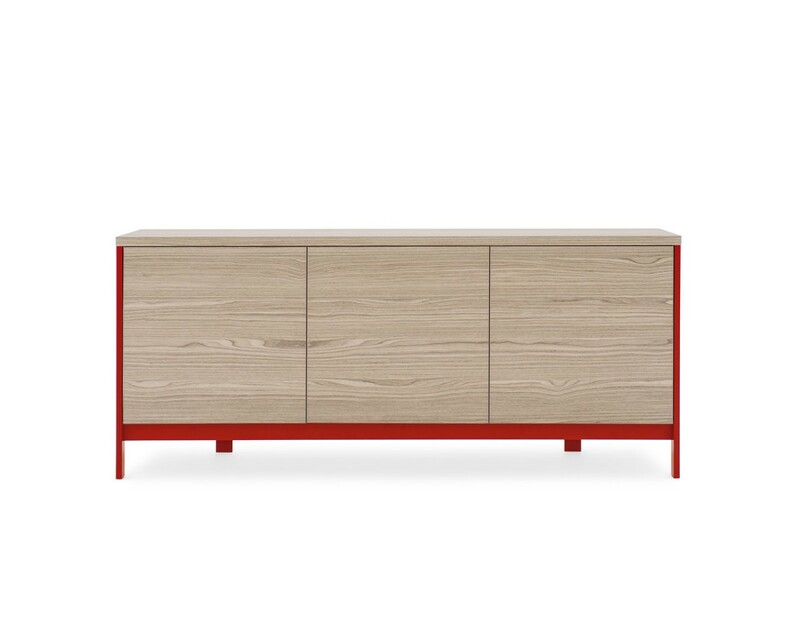 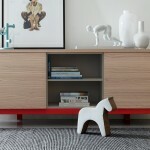 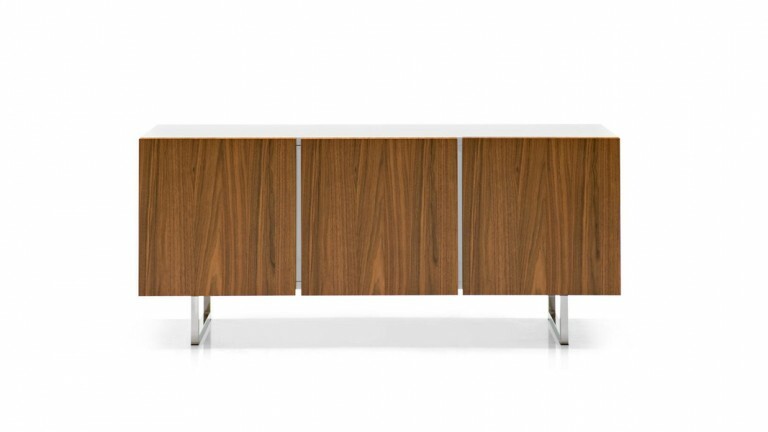 FACTORY is a visually striking sideboard, designed for everyday use. 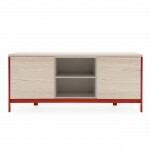 Choose it to complete your dining area.